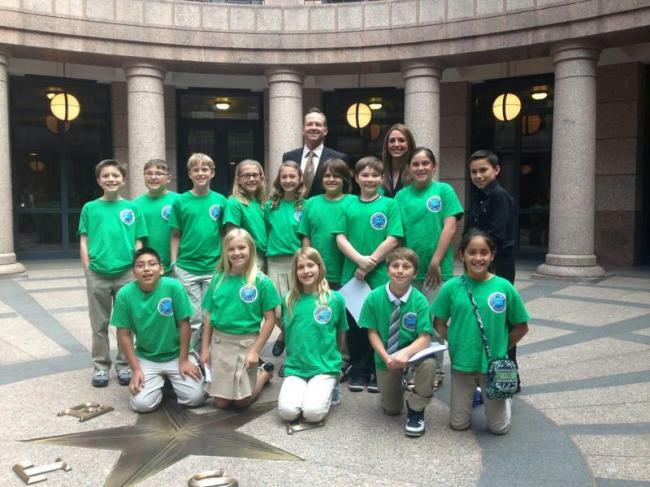 The Oppe Green Team, a group of 4th graders, traveled to Austin on March 20 to testify before the House of Representatives to move the committee to pass their bill to make the Kemp ridley sea turtle the official sea turtle of Texas, endorsed by local Rep. Craig Eiland. The bill was unanimously passed and will be put towards a House vote in coming weeks. Local Texas Senator Larry Taylor told the group he will move to push it through Senate. The team had the idea of writing the bill after Rep. Craig Eiland came to the school to teach them how a bill gets passed. The students decided the Kemp ridley could be the official sea turtle of Texas after seeing a video on the species native to Galveston Island.